This post contains affiliate links. 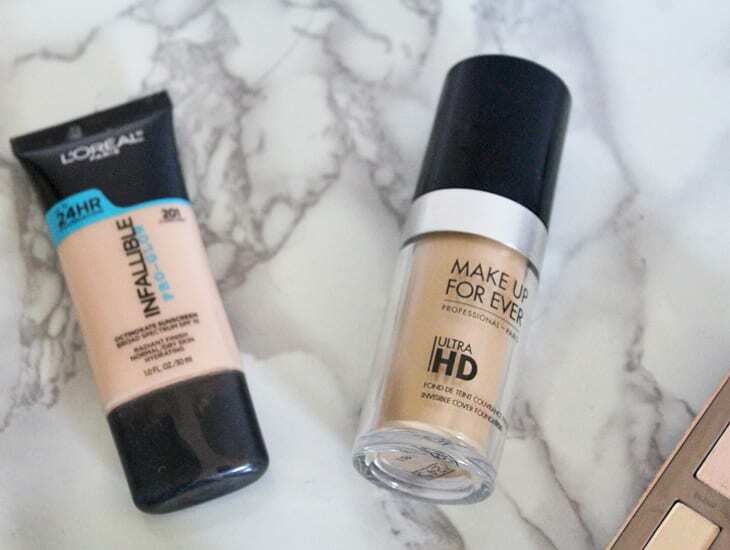 I received the Make Up for Ever foundation from Influenster in exchange for my review. Fall makeup is my favorite makeup. It’s full of rich tones that really define the features and warm everything up during the cooler months. 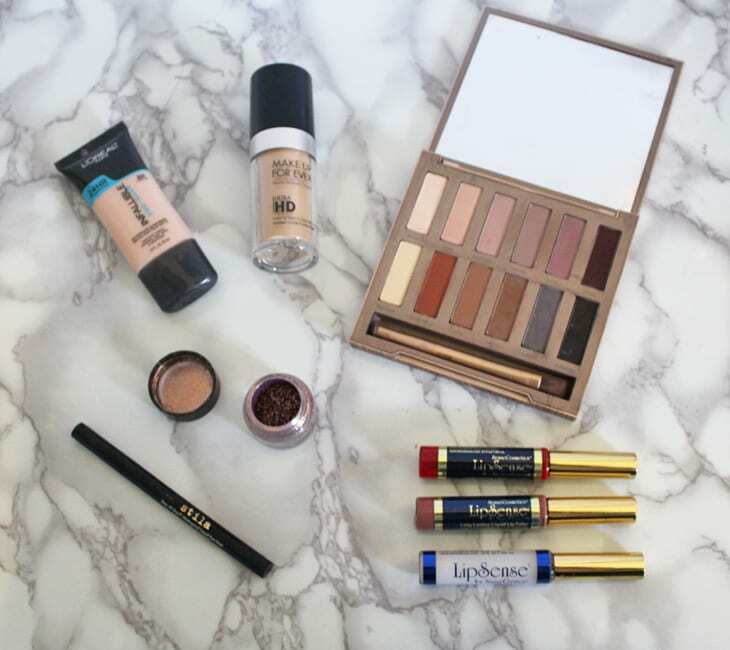 Since fall is now in full swing, I thought I’d share some of the makeup products I’m loving this season! My skin gets so dry sometimes when colder weather hits. I love both of these options as they feel very cushion-y on your skin. Both are great quality. When applying the L’Oreal foundation, forgo the beauty blender or foundation brush and just use your hands. Both options provide great coverage! I’m so picky when it comes to my eyeshadow, and I wanted the perfect palette for fall. I debated and debated before purchasing this product, but I’m glad I finally did! The two lighter shades on the left are perfect highlight shades. Extra Bitter (pumpkin spice shade) and Lethal (deep maroon) make such a pretty combination for your crease! The trick with these matte shadows is to blend, blend, blend! 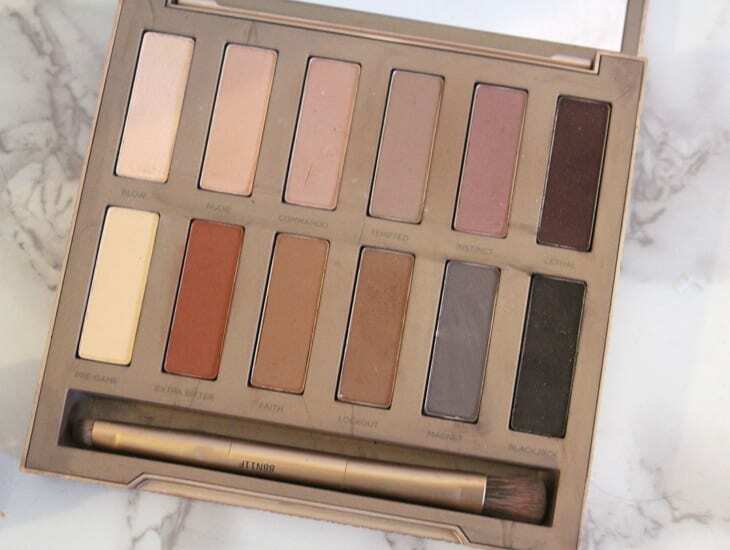 Also, the makeup brush that comes with this palette is on point. The small end is perfect for smudging some color on your lower lash line. Finally, if you’re in a rush, swirl together Tempted and Instinct to use as your blush! FYI–>I’m giving one of these away here!!! This is so pretty! If you want one game changer to add to your makeup routine, this is it! Layer this glitter pigment on top of your eyeshadow one you’re done for a multi-dimensional, rebel eye look! To get the pigment to stick to your eyelids, spray your eyeshadow brush with a liquid primer and then dip it into the shadow. Respray in-between dips. Finish by using a setting spray. 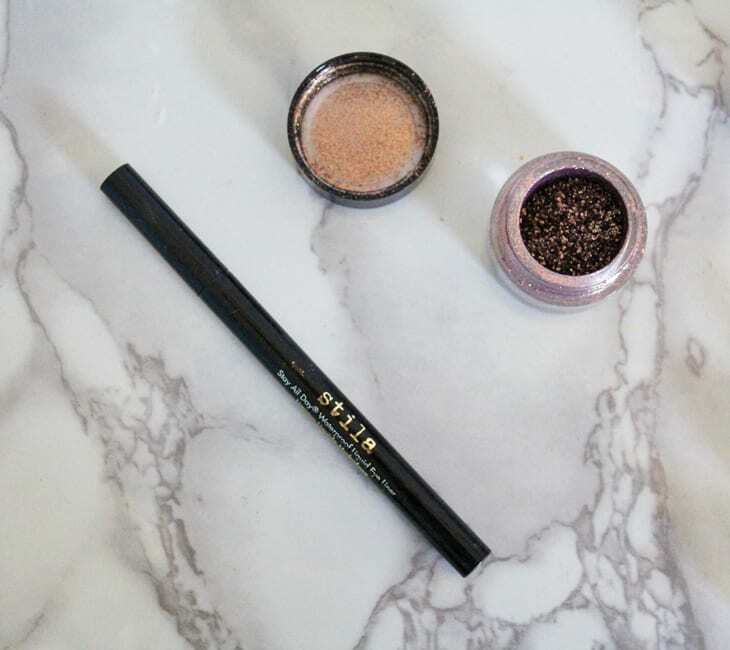 This is an eyeliner that will stick with you all day. I love how black it is, and it tends not to fade or budge. The applicator is perfect for drawing on a dramatic cat eye too–very easy to manipulate. 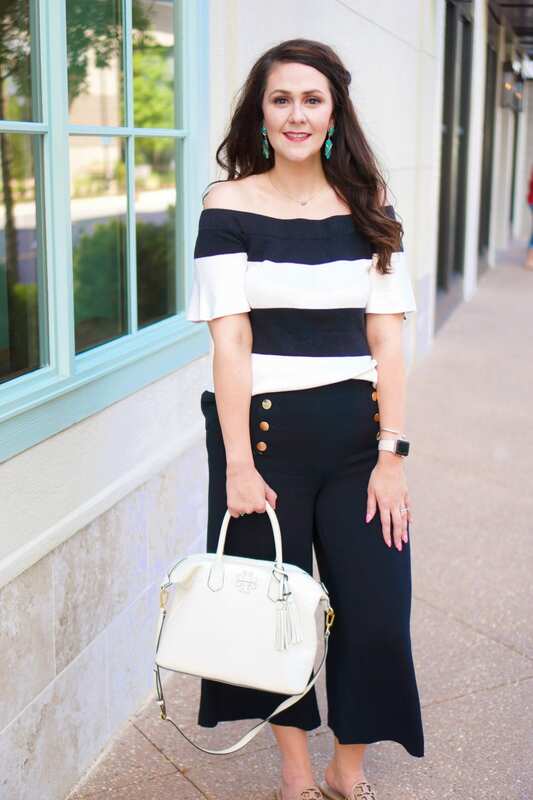 LipSense is my new favorite beauty find! It’s lip color that lasts from four to eighteen hours depending on your body’s chemistry. Once you put it on, it won’t smudge. You can read a more in-depth review here. 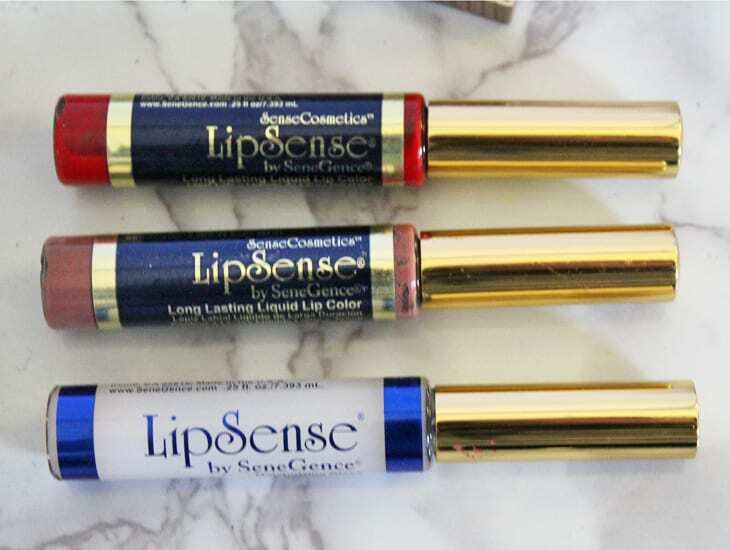 You have to use a LipSense gloss with it, because it’s a two step system. I’m loving the colors Cranberry and Hazelnut with Matte gloss! What are you must-have beauty products for this fall??? 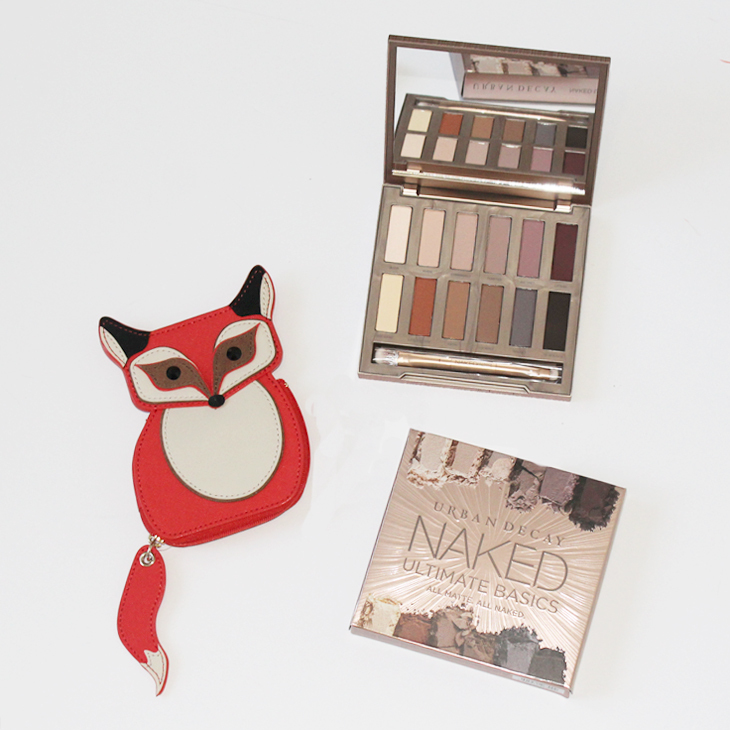 You can enter to win the eyeshadow palette show above, along with an adorable Kate Spade fox change purse, here.